Pray for the new national leader of Youth for Christ Denmark, Daniel Baun. Since October, he’s been in charge of the group that’s doing key outreach and discipleship among Danish teens in schools and cities around the country. Under Baun’s leadership, they want to do even more. Baun already has a high profile in Denmark as a business consultant, speaker, and author of the book Heartcore Business. His approach looks beyond the pursuit of profit to the deeper meaning of real success in the marketplace. And he’s taking this perspective to YFC. “I like to see things happen,” he explains. PRAY for Daniel Baun in his new role, that God would use him to spread vision, enthusiasm, and energy to reach more youth for Jesus Christ. PRAY that Youth For Christ Denmark would remain true to its name, and that along the way its workers would grow in their own relationship to Christ. 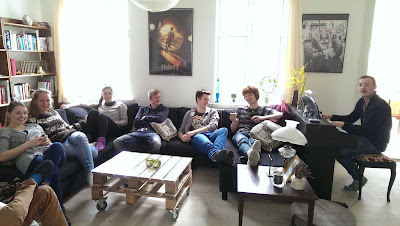 PRAY for unity of purpose among YFC Denmark. PRAY that more and more Danish young people would follow Jesus as a result of this vital ministry, and that revival might take hold on campuses across Denmark. Things are looking up at Børkop Højskole--one of several Bible colleges in Denmark. After a period of declining admissions and troublesome deficits, enrollment is back up and the school is again on solid financial footing. A popular student lounge has recently been renovated. Eager young students are studying the scriptures in 5- and ten-month programs, growing in their faith and preparing for ministry in many forms. School leaders say there’s a new optimism and spirit in the school, with new initiatives for future growth. The challenge is that headmaster Erik Pedersen has just announced he will be stepping down at the end of the coming school year. He started at Børkop in the spring of 2012. His last day will be July 31, 2016. A search is already underway for a new headmaster. In the academic world, these kinds of searches typically take many months. PRAY for the search committee, and that God will raise up just the right leader. PRAY that the positive momentum they’ve seen over the past several years will continue and increase. Børkop is an important school for preparing Danish Christian lay leaders. 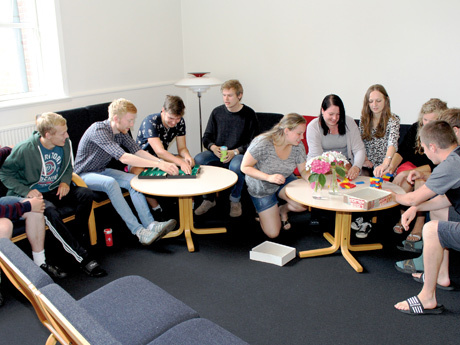 PRAY for the students at Børkop this term, that they will grow in their faith and be a part of what God is doing to bring revival in Denmark. PRAY ALSO for the faculty and staff, and thank God for the leadership the Pedersens have provided. Danish Christians are already looking forward to the Christmas season, but this year they’ll have something more than just cheery greetings to hand out. Hint: In this case we’re not talking about an online outreach. This is all about challenging unchurched and once-a-year visitors in a traditional format that’s been used and valued in Denmark for decades: Good old-fashioned Christmas magazines. Yes, magazines. In secular Denmark, most such publications are filled with seasonal short stories and features, packed with plenty of Julenisser (Christmas elves). This year’s “Julemagasin” from Christian publisher Lohse builds on that tradition with a tried-and-true format highlighting stories of transformation and gospel outreach. It’s a culturally acceptable way for believers to reach their unchurched friends and neighbors with the good news of Jesus Christ. So yes, it may be old-school, but it’s working. The magazines were first produced in 2008, and print runs have been rising ever since. Last year more than 80 churches ordered copies to give away to nearly 13,000 Danes. “We ordered 200 magazines and handed out half of them on the street,” said Asbjørn Asmussen from Sct. Mihaelis church in Fredericia. The other half of the magazines were given to those attending their Christmas Eve service—including their once-a-year visitors. 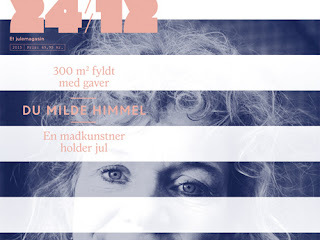 This year, the magazine features a story about Danish prison ministry, holiday reflections, and articles about Heaven. PRAY for the “Julemagasin” outreach, that God’s Holy Spirit would touch hearts through the stories, and that lives would be changed. PRAY that more copies than ever would find their way to unreached homes. PRAY that God would touch the hearts of Danish Christians in this outreach, helping them to see the joy of sharing Christ with others. They're open to... what, exactly? 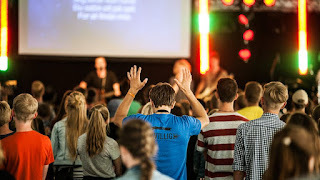 In a few weeks a small group of young Danish Christians will gather in central Jylland for a special weekend of encouragement, worship, prayer, and challenges. It’s called “Frimodig (Openness) Weekend.” And make no mistake: These 17- to 25-year-olds are open to God’s Spirit, open to deepening their faith. They care about following Jesus, no matter where it takes them. The weekend is sponsored by the Danish chapter of Open Doors, which focuses on persecuted believers worldwide. And many of the Danish participants have been involved with awareness campaigns and prayer for Christians in the Middle East and other high-risk areas of the globe. In this case, October 2-4 will be a time for the young Danes to deepen relationships with each other and with the Lord. It may be a time when God impresses them with a call to lifetime service, or opens their eyes to the needs of persecuted Christians. It may be a time when God’s Spirit calls these young church leaders to influence their generation for Jesus Christ. They need our prayers. PRAY that God would bring together just the right group, and that finances would come through for each participant. PRAY that God would touch their hearts and meet them in a special way. PRAY that God would open their eyes to needs in their own schools, neighborhoods, and beyond. PRAY that God would give them hearts of compassion for the world, and that this outward-focused love would spill out across the Danish church. Across theological divides, this man has a vision for reaching Denmark’s young people, by all means possible. Brian Nissen is in charge of youth outreach programs through the Indre Mission -- Denmark’s Lutheran renewal movement -- but he’s asking, imploring people in churches all across Denmark to join him. So yes, thousands of Danish kids are hearing the Word every week. Nissen knows how important it is to teach the young. But his programs are just a starting point, he says. “My dream is that in all churches, across fellowships and theological differences, that we make 'Jesus for kids' a priority. That we set aside time to serve as youth leaders, go on camps, drive kids to clubs or choirs, include them in our worship, and much more. PRAY for the youth of Denmark this fall, that many more will hear about Jesus… and come to follow him. PRAY that many adults across Denmark will catch Brian Nissen’s vision and share in youth ministries. PRAY for the protection of these Danish kids, that they might be delivered from the many distractions and pitfalls of growing up, and that they might be introduced to a better way of life than their society offers. PRAY for a revival of faith across the land, spreading from the youth and beyond, and spreading across church traditions – from Lutheran to Pentecostal, Baptist to independent. Perhaps because of the way God is working in their church this year. Members of Kristus Kirken (a reformed Baptist fellowship in Bjerringbro, north-central Jylland) have been busy this summer. Here’s what’s happening, according to their pastor, Henrik Mortensen. · They’re welcoming several new members, with a baptism service planned for the end of the month. · They’re expanding their literature ministry, translating and producing more biblical materials to help ground their people in God’s word. 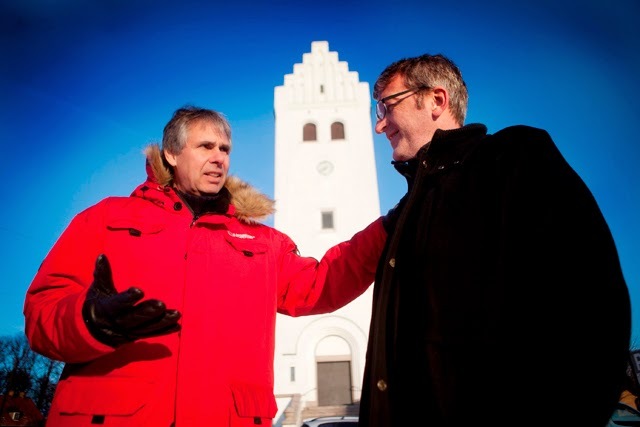 · They’re opening their front doors and singing traditional Danish hymns -- and people around their Bjerringbro neighborhood are hearing the music! PRAY for the people of Bjerringbro who receive tracts and hear from church members, as well as for those who hear the enthusiastic singing wafting down the street every Sunday morning. Pray that more and more people would come to know the Savior as a result of this witness. PRAY for those who will be baptized this month, and that many more would follow in this clear witness for Christ. 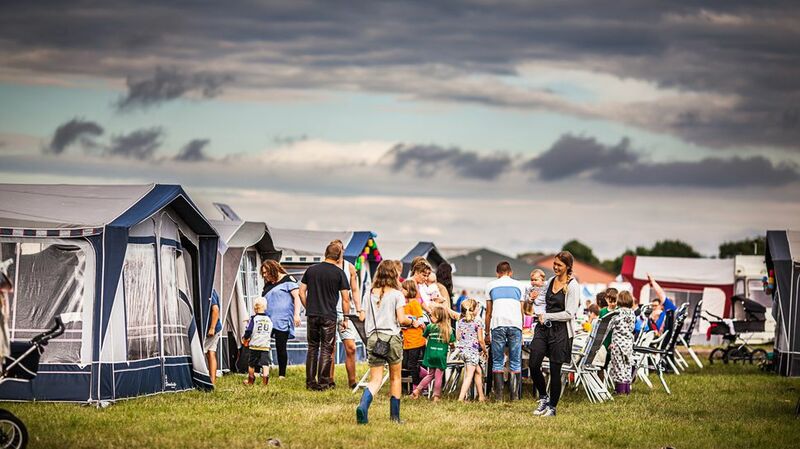 Every year we pray for Denmark’s largest annual Christian family retreat -- SommerOase. It began Saturday, July 11 in Odder (just south of Aarhus) and continues through the week. Thousands fill the fields surrounding a local school in their tents and trailers to experience Bible teaching, seminars, games, sports, family activities, concerts, and times of praise. For a better idea of what all the activities look like, check out this video from last summer’s event. 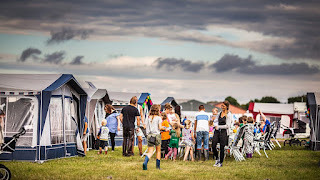 One of the most significant aspects of this annual gathering is the way it taps into the strong Danish culture of spending summers outdoors, of Danes enjoying the long days at the beach or camping in tents or cabins with family. SommerOase builds on that lovely tradition, but with a clear spiritual boost. So this is kind of place where renewal can be sparked in Denmark. Among friends. Among families. Among God’s family. This is where lives can be changed on a warm July evening (perhaps this week?) when Danish voices join together to sing, and they’re met by God’s Holy Spirit. Please pray for SommerOase 2015. PRAY for families to be drawn together in fresh surrender to God as they hear his word taught. PRAY for young people to see their need for Jesus Christ. PRAY that workers, leaders, and teachers to be filled with God’s Spirit and follow his leading. PRAY for their health and safety, and for boldness to seek God. PRAY for many unbelievers to be drawn to the gathering this year, especially the free invitational day on Thursday July 16. Pray that many would be saved, and for recommitment and deeper faith among believers. PRAY for God to be present especially in the worship times, for revival to spread from this field. PRAY for lasting positive change and growth in Danish lives and in the Danish church, that it might begin here. He didn’t have much success, despite his obvious heart for the lost. In most cases, he was met by suspicion, mistrust, and closed doors. And his frustration grew, until he began to change his approach. In other words, he meets them on their terms and on their turf. He’s learned to speak their language as he presents the truth of the gospel, with uncommon compassion. And this month his ministry, “I Mesterens Lys” (“In the Master’s Light”), celebrates its twentieth anniversary of outreach and bridgebuilding. Pastor Madsen and his co-workers are regulars at New Age fairs, engaging and praying for seekers. They also offer accessible YouTube videos and other social media touchpoints. Watch his story here (Ole’s portion starts at 18:07), or learn more at his English-language website, inthemasterslight.net. PRAY for Ole Skjerbæk Madsen, for protection and wisdom as he reaches out to New Agers. PRAY for the IML ministry, that it might remain true to the Gospel, and that the Holy Spirit might use it to bring many more to salvation. PRAY for the IML movement as it spreads to Norway and Great Britain, that doors would open and more would come to know Jesus. PRAY that God would use IML to help bring revival to Denmark and unity with other believers. 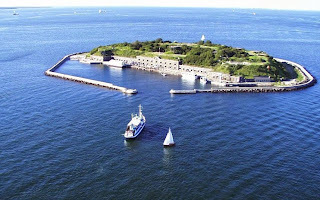 Baptist boy and girl scouts in Denmark were overjoyed to learn this spring that the historic Middelgrund island fortress in the Øresund between Copenhagen and Malmö was donated for use of all Danish scouting groups – including the Christian-based Baptist group. The historic man-made island, with 200 rooms connected by two miles of corridors, was constructed by King Christian IX in 1890 and is still believed to be the largest man-made island in the world. Question is, how will it now be put to best use? PRAY for the planning process, that Baptist leadership will continue to have a voice. 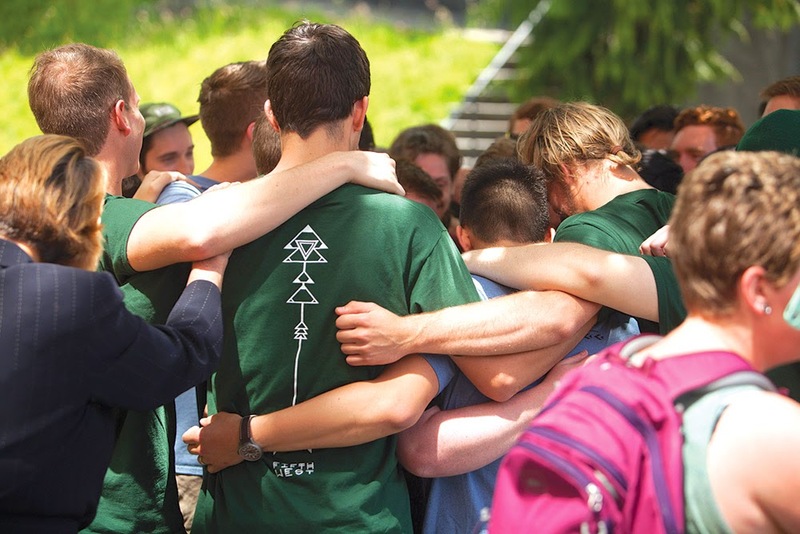 PRAY for renewal in the Christ-centered Baptist scouting organization this summer, that more and more young people will make decisions for Christ. 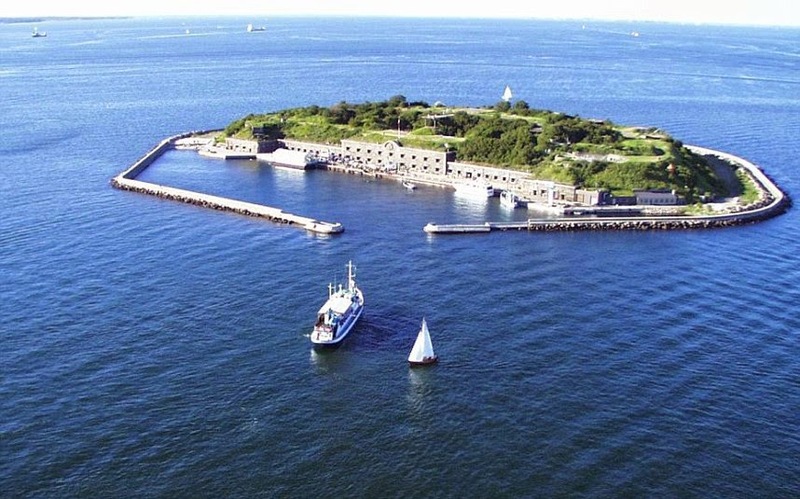 PRAY that this island that once guarded Denmark’s capital will become a place where young lives turn to Jesus! All across Denmark, more and more groups of children are meeting to practice, sing, dance, and perform – all for God’s glory! The name may not sound very Danish, but “Gospel Kids” clubs were founded in 2003 by Inger Lise Møller as a way to bring the gospel of Jesus to young children and teens, giving them a chance to make friends as they learn and perform Christian songs. Today more than 20 groups meet across the country. The program is based on the idea that kids learn best when they have a chance to move, dance, sing, and have fun! It’s affiliated with the Danish Indre Mission (IM-musik) and state church Sunday schools, but depends on public donations and volunteer leadership. Most recently, Gospel Kids groups sang at a two-day Gospel Kids Festival Jylland, which also featured choir leader training, dance workshops, and voice training. Here’s a sample of one of their performances. What will God do with hundreds of young lives surrendered to him? PRAY that God would touch more and more young people through Gospel Kids groups and performances. PRAY for the volunteer leaders all across Denmark, and that God would inspire new leaders to join in. PRAY that people would see the love of Christ shining clearly in these young lives. PRAY for revival in Denmark, and the part these children might play in it. Start praying right now for Danish believers whose lives will be changed at a landmark church planting conference April 24-25 called “Gro15.” It’s a yearly gathering of Danish church planters and church folk -- all passionate about seeing the church of Christ grow and mature throughout Denmark. 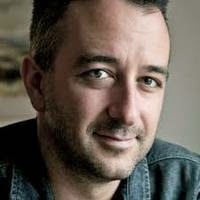 This year’s main speaker is London-based Al Gordon, global vice president for Alpha International. Gordon co-leads a team that oversees Alpha’s evangelistic outreach work in 169 countries worldwide. Matt Reynolds, pastor of Atlanta’s Grace Midtown Church, is also planning to attend. And here’s something different: Each attendee will be hosted in a local home, where they’ll have a chance to talk through what they’re learning about evangelism and church planting in a local, living room context. ting throughout Denmark. KPN started in 2009 and is now an independent movement. PRAY for this organic, authentic Danish church planting and outreach strategy, that everyone attending will be moved to reach out beyond their local churches in the name of Christ. PRAY for the speakers, Al Gordon and Matt Reynolds, as well as Danish pastors Peter Søndergaard and Keld Dahlmann, that God would touch them with just the right message for this time. PRAY that God would continue to grow this exciting church planting movement, and that it would remain focused on Jesus in a spirit of truth and unity. PRAY for the conference home groups, that real church growth would be planted in living rooms around the city of Aarhus. Last June, a senseless shooting on the university campus where I work left one innocent student dead and several others wounded. Students, staff, and faculty were deeply affected, and the shocking tragedy drove us to our knees. Through tears of grief we prayed, not only for the victims, but also for the shooter. For mercy. For healing. For God’s presence. Now the peaceful little country of Denmark is rocked by not just one, but two shootings in the capital city. And while the motivations of terrorists surely cannot be compared to those of a campus shooter, the immediate results of these evils are eerily similar. At this writing, one has been killed, several wounded. And beyond that, the sense of security and safety most Danes enjoy has surely been shattered. City residents, many ordered by police to stay indoors and away from their windows, are shaken to the core. Has something like this happened since the darkest days of World War 2? Perhaps the news would not be quite as shocking had the shooting occurred in a city where such things are featured daily on the inside pages of the local newspaper. But this is Denmark, where a prevailing sense of peace and safety provides essential thread to weave together the fabric of society. So how will Danes deal with this heart-rending tragedy? That’s obviously yet to be seen. But I do know one thing: God is present in this kind of pain and fear. In Seattle… and in Copenhagen. And there is only one way through the horror -- on a road paved with prayer. PRAY for those most closely affected by the shootings, for those close by, and the first responders. PRAY for believers in Copenhagen, for strength as they minister to neighbors, friends, and to the city as a whole. 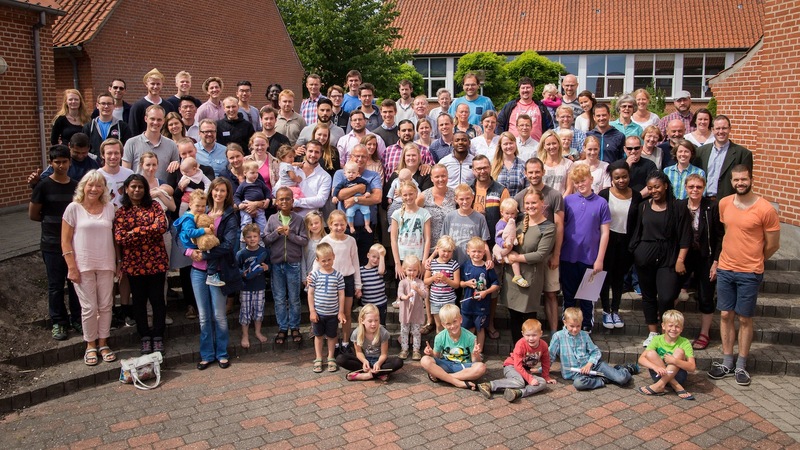 PRAY that the Danish church would fix their eyes on Jesus and rise to serve in his name. PRAY for Denmark, that God would meet Danes in this trying time. 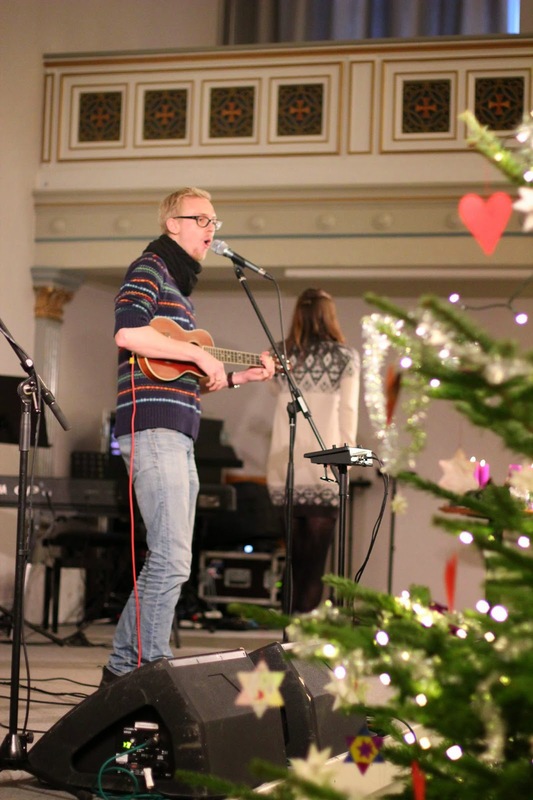 2015: Year of the Danish Street Church? They’re not waiting for people to come to church. More and more Danes are venturing out into the streets to pray for strangers and share their faith. One example: Mona and Bo Henriksen, who came to faith only a few years ago, but who now join other “street disciples” three days a week on the streets of København. And the growing movement is drawing from a wide spectrum of churches in and around the city, including Apostolic and Pentecostal churches, but also Betlehemskirken, the Adventists, Vintræet (Vinetree Church), Gospel Church, and Københavns Bibeltrænings Center. PRAY for the Street Church movement, that God would reach many more hearts in the year to come -- and that they would find church homes in which to grow as disciples. PRAY for more volunteers from an even wider variety of fellowships, both free churches and state churches, and that God would use this to knit together His church in Denmark. PRAY also that the Street Church would encourage believers across the country to reach out in the love of Christ to people where they are -- on the street and beyond. PRAY that the Street Church would remain focused on Jesus. They’re moving to larger quarters because they’ve outgrown their old buildings. And that’s good news for two Danish Lutheran “free” fellowships – the Københavnerkirken and Nordvestkirken. 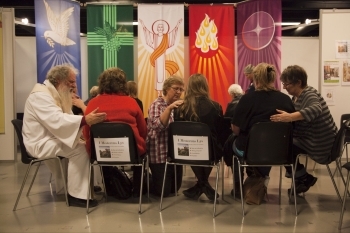 “We’re especially pleased that many have come to know Jesus in the recent years,” said Østermark. Nordvestkirken had also outgrown their facilities, and that fellowship was able to buy the vacated Utterslev Lutheran church building in Copenhagen’s north end. It’s a good-sized building for the fellowship to grow into. But even without a pastor, they continue to draw new members and seekers to contemporary services and family-friendly teaching. Both churches are prime examples of independent churches that maintain cultural connection to the historic Danish faith, without formal ties to or dependence on state church leadership. PRAY for these two strategic fellowships, that Christ would continue to be held high and that many new seekers would be drawn to faith here. 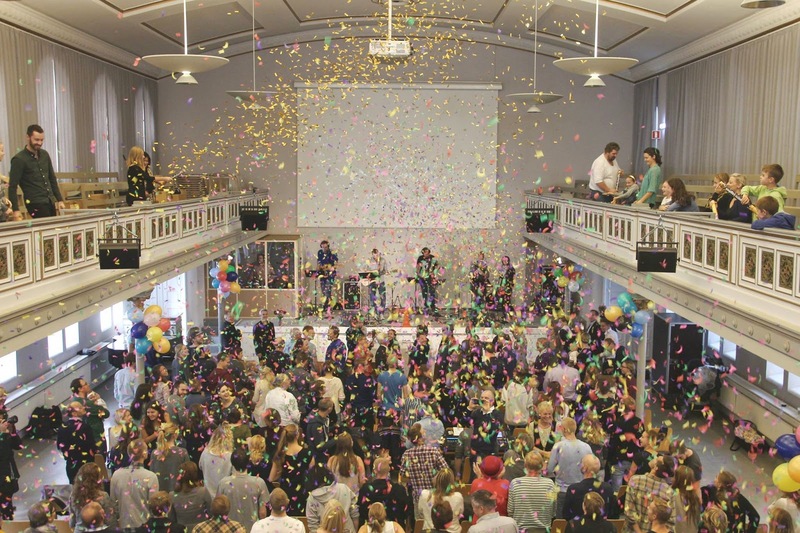 PRAY for the pastoral staff at Københavnerkirken, including pastor Claus Grønbæk and the rest of the leadership team. Pray that they would continue to have a heart for reaching their community in the name of Jesus. PRAY ALSO that members of Nordvestkirken would continue to grow in their interim, and that God would bring just the right leadership, in his time. PRAY that God would raise up and revive even more Danish churches like Københavnerkirken and Nordvestkirken.